Rebranding to United World Transportation. Probably the most visible change to our company. We are now United World Transportation, the parent company of both United World Cargo and United World Trucking. Our main objective was to answer the question, “What does it mean for YOU”? United World Transportation offers a comprehensive solution that still provides you with improved productivity, cost savings, and peace of mind. Nothing will change for you from a customer service, paperwork, or billing perspective; so just sit back, relax and enjoy the ride on the expanded road ahead!!!! Communication – in February 2012, we introduced the availability of 24/7 in office dispatch. We now have a fully staffed evening presence right in our office. 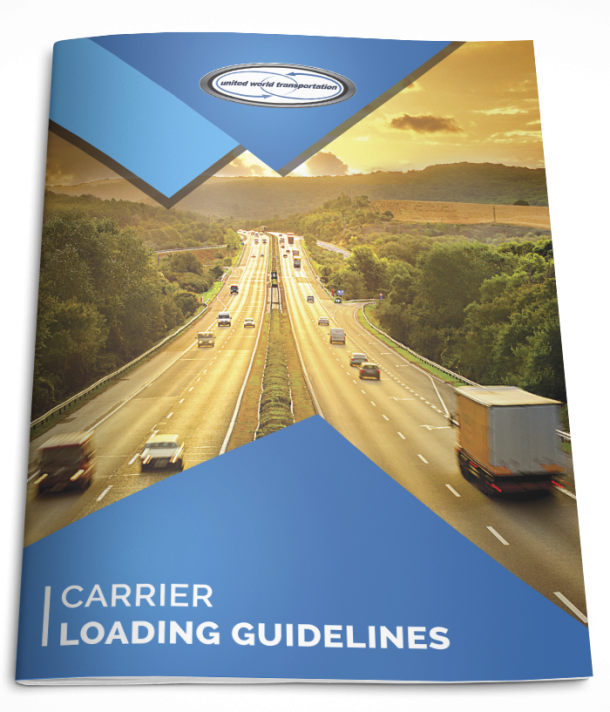 As part of the Customer Service Department, they receive and reply to Customer and Carrier phone calls and emails and assist with any required updates; evening loading, in-transit and delivery procedures; and troubleshooting. Continual Education. This past year we continued our commitment to be the leading educator in our industry. This industry is fast paced and constantly evolving, and we are committed to providing our partners with the education they will need to succeed. This past year, we also looked more to social media (this blog, Twitter, Facebook, and LinkedIn) to connect and communicate with our partners. Our most popular educational topics for 2012 were: continuous vs. cycle reefer settings, load locks, how a reefer unit works, pre-loading tips and loading guidelines, pulp thermometers and how to pulp, truck and trailer maintenance tips, and driver health. Take a browse through any of our online mediums to review these topics, and stay tuned for many, many more in 2013! Awards and Recognition. In 2012, UWT became Diamond Designated under the TIA Performance Certified Program. Less than 1% of companies are TIA Performance Certified, and now the Diamond Designation is attached to each and every load we post on the industry’s largest freight matching service. The diamond assures carriers of our outstanding credit rating, performance history, and of the size and quality of our bond. Also, back in November, UWT applied for the Canada’s Best Managed Companies. For the second year running, UWT was selected as one of 12 award recipients from British Columbia. A great accomplishment for UWT: recognizing our entire company and what we have accomplished in 9 years of business. It stands as a tribute to our commitment to business excellence and our ongoing efforts of continual improvement! Stewardship. In 2012, we challenged ourselves as a company to see how far we could reach, and it was farther than a lot of us thought!!! Overall, 2012 was a great year for UWT, and saw us partnering with various stewardship efforts. Our corporate cause continued to be the Canadian Breast Cancer Foundation – BC/Yukon region, and in 2012 we hit the milestone of $20,000 in donations, and marked the event with a pink celebration back in August! Some other the notable contributions and support we provided included: supporting the Jubilee Youth Ranch, contributing to the US national Fuel Up to Play 60 Program, supporting programs benefitting the Foodshare program in Ventura County, and contributing to Habitat for Humanity’s efforts in building houses across Canada. While a lot of our stewardship efforts are national or even global in their reach, we also understand the importance of supporting the community we live in, and as such, pledge to yearly family sponsorships of the Family Services of the North Shore, through their Christmas Hamper Program. Running Team. 2012 saw the establishment of UWT’s corporate running team, called Running the Road Ahead! We are a company dedicated to healthy living; we eat our fair share of the fruits and veggies we deliver every day, and like to take advantage of the various and challenging exercise opportunities that are available in our very own backyard (with many avid bikers, hikers, skiers, snowboarders, and snowshoers representing in the office!). Our running team’s first event was the 10km Vancouver Sun Run back in April 2012, followed by the Canadian Breast Cancer Foundations 5km Run for the Cure in September. Both events were very successful and have motivated all of us to continue. We will be back in action in April of this year for our second shot of the Vancouver Sun Run, and have the aim of beating our 2012 team average time for race of 1hour, 5 minutes, 27 seconds! Stay tuned! Holiday Themed Events. Encouraging and fostering our corporate culture is very important. We get together regularly during office hours and sometimes in the evening to share our experiences with one another, and to have a bit of fun. Bowling, Halloween Pumpkin Carving, Movember, and a Christmas potluck marked some events UWT staff all enjoyed during 2012, and we look forward to sharing more experiences together in 2013! So that’s a wrap on our 2012 year. We hope you enjoyed Part 1 – Market Review, Part 2 – Regulatory Review, and this Part 3 of our series! All the best to all our partners for a productive and excellent 2013!